If the LAN cable (1 m) that is included with the product is not sufficient in length and you are using a commercially available product, please prepare a LAN cable that is compatible with category 5 or higher. Connect one side of the LAN cable to the hub/router. 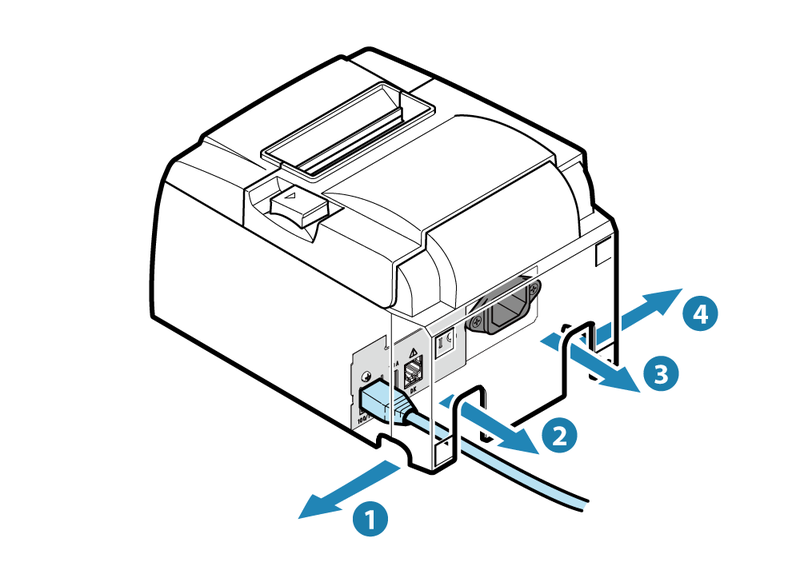 Connect the other side of the LAN cable to the LAN connector of the printer. There are 4 cable outlets to the right/left/back, and it can be wired according to where the device is placed. 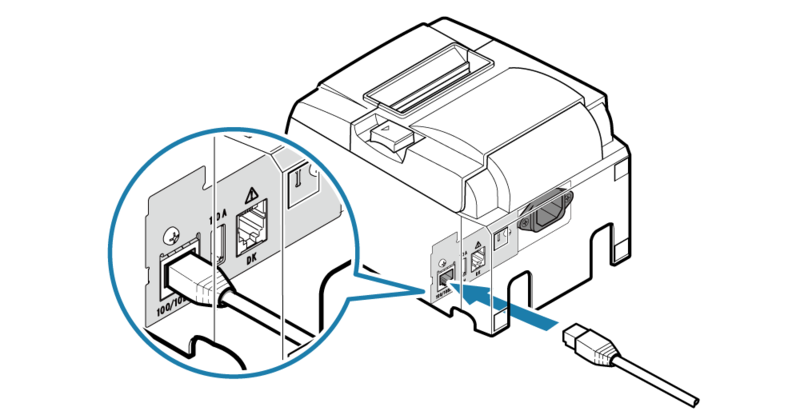 Make sure the LAN cable is properly wired through the cable outlets so that the device does not tilt when it is set up.